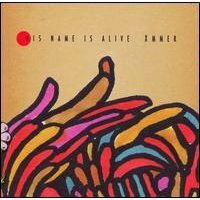 In 1990, His Name is Alive released their first album on the prestigious 4AD label in England. The Livonia, Michigan group established itself as an experimental and sometimes ethereal pop band throughout their tenure with 4AD, which ended in 2002. Last year’s critically acclaimed Detrola was their first release for the Silver Mountain label, and Xmmer now follows in very much the same vein. His Name is Alive have developed a reputation creating diverse sounding records and the new release sustains their reputation as such. Three songs in the middle of the album demonstrate this point well. One of the more experimental tracks on the album, “Sangaree,” uses crunchy fuzz guitar and sharp snare drumming as the main musical drive. The soft vocals, somewhat reminiscent of Stereolab, hover ever so slightly over the music, countering the discord. The song that follows is “Intra Ultra,” a mellow and lazy acoustic song that only lasts for one minute. The tracking is soothing, but all too brief. Next on Xmmer is “Come Out the Wilderness.” This song features some jangly, almost jazz/funk guitar playing and some rapid snare drum playing that is based on drumrolls for the entirety of the track. When the funk guitar morphs into a pleasantly strummed chorus, the drums also slow down and the song somehow builds in tension as the tempo decreases. The airy vocals on Xmmer are provided by Andrea Francesca Morici, who sings in hushed tones throughout the album. The songs explore the realms of pop, jazz, folk, funk and experimental territory. “Come to me,” the closing track, is one that incorporates horns and analogue keyboards. The vocals float upon the waves of the musical accompaniment, which manages to be a little bit erratic and unsettling, yet they alone somehow give the song a serene quality. Even though this album has just been released, it has been reported that His Name is Alive are already set to release another new recording in November entitled Sweet Earth Flower: A Tribute to Marion Brown. With Brown being an avant-garde jazz saxophonist, this should be another interesting release from this ever so prolific group.